Ten Talav, situated 12 KMs from Dabhoi, is an lake constructed in an octagonal shape with steps and embankments. 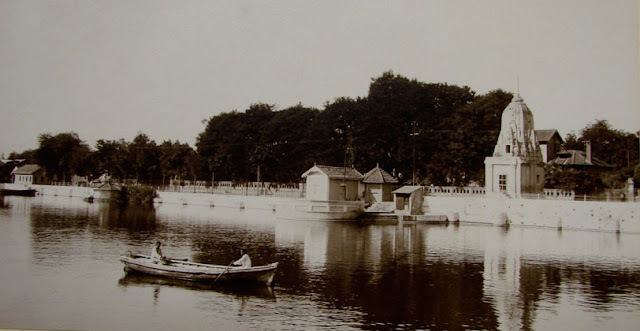 The lake was constructed by Hiradhar Shilpi, who was the architect of Dabhoi Fort (Hira Bhagol or gate is named after Hiradhar). Hiradhar Shilpi built this lake for his Love, a girl whose named was ‘Taini’. While constructing the Dabhoi Fort, he was secretly constructing Ten Talav. He stole stones to be used in Dabhoi Fort & built ten talav from those stones via a underground tunnel. 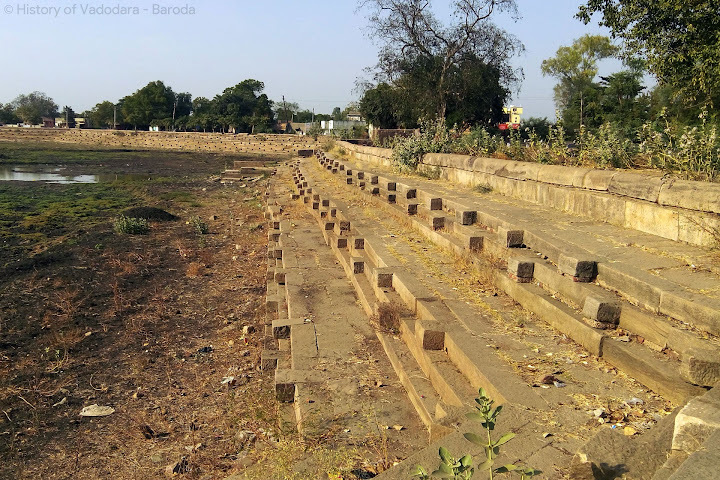 The Talav was named after her lover, Taini (Gujarati: તૈનિ , Hindi: तैनी), but as the time gone it became popular as Ten Talav. Rani then knows about that he was stoling stones. Taini was servant (Dasi) of Raja. Rani once cooked vedmi, she said to Raja to eat this, and said that this is our Dabhoi’s Gates. Raja didn’t understood it well. Then rani said that our gates are built from Stones from outside & from inside its being made up of sand. After knowing about this, Hiradhar was sentenced to death & buried alive in the wall of Dabhoi Fort. It is said that he was given Ghee few times through a small hole in wall. But he did not survived & died inside fort only.